Dear reader we have discussed about erosion, rotting and insects damage to foundation. These deteriorating environments are also associated with water/moisture; here we will learn about foundation damage due to moisture intrusion. In many foundations were constructed with mortar binding masonry blocks of various form. Of these we will discuss about older mortars. The clay and mud were the first binding materials for masonry work. The first recognized form of mortar was found in about 6500 BCE in Baluchistan and as masonry block sun-dried bricks were used. The application of gypsum as mortar was reported in ancient Harappa, again in Pakistan, in 2600 BCE and as masonry blocks kiln-fried bricks was used. 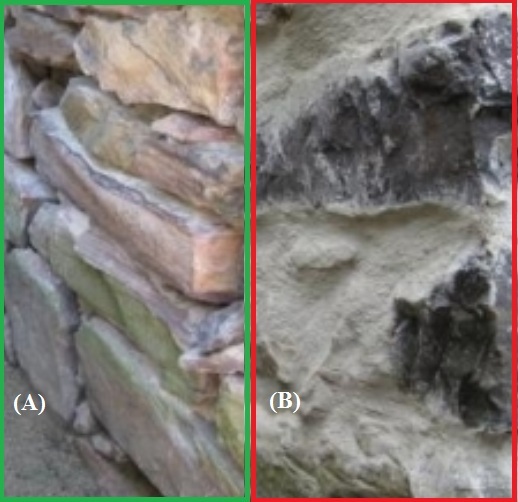 Lime mortar was a popular binding material and still we have many structures constructed with lime mortar. In the middle ages, during construction of the Gothic Cathedrals, an only ingredient as mortar was lime. Though lime mortar is susceptible to degrade in contact with water, numerous structures were constructed with it and many survived over few centuries. The history of lime mortar was described briefly and now we want to include cause of moisture damage of foundations constructed with lime or lime mortar. Both clay mortar and lime mortar absorb moisture and they don’t produce significant problems as long as they are repaired with other types of mortar that is harder than lime mortar. The lime mortar is relatively softer than mortar made with hydraulic cement. This softer mortar allows brickwork to be some degree of flexible. This flexibility permits some movement of brickwork to adjust ground shifting or other forms of changes in conditions. On the other hand, cement mortar is relatively harder arresting flexibility of lime mortar over which it was supposed to be applied. When cement mortar are used for local repair work over lime mortar surface of foundation wall, it doesn’t work well. Due to contrast in flexibility, as discussed above, cracks in foundation wall form. So when no repair or repair with lime mortar is done, no problem is reported. The light cement mortar also disturbs moisture balance with wall as it is not as breathable as lime mortar. The moisture cannot be escaped; moisture penetrates deep into the foundation wall. 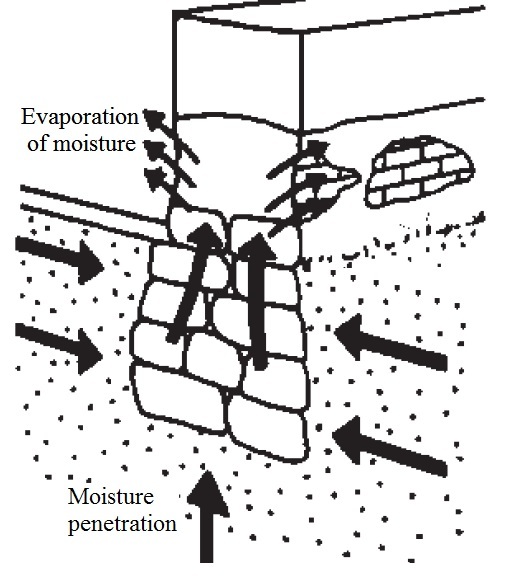 As moisture movement is restricted only in the surface, and within lime mortar there have no such restriction, moisture moves through the foundation until it reach an exit. These development results foundation elements to get contacted with soil which were never designed to have such moisture source around them and results damage to foundation.